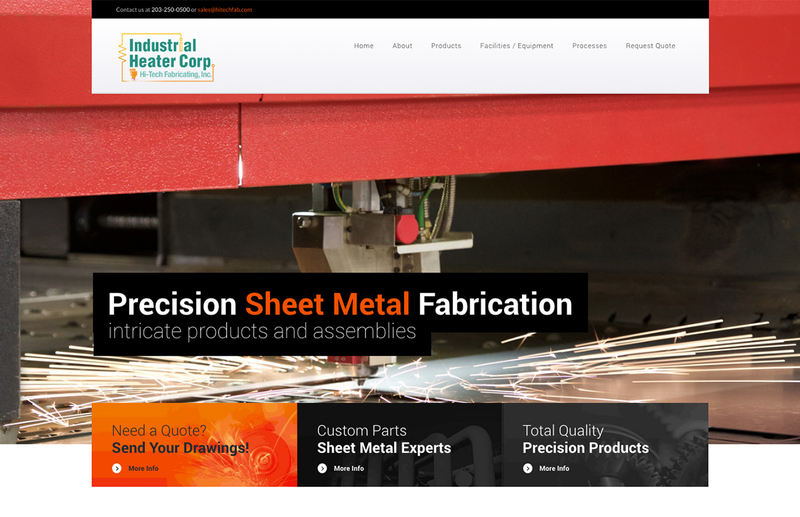 Check out our work on this wordpress website Wallfrog designed for Hi-Tech Fabricating. It is both desktop and mobile responsive. It has great images, info and “calls-to-action”. Their previous website was antiquated and did not properly highlight their experience, skill, machines and projects. Hi-Tech Fabricating is located in Cheshire, CT and have been based in Connecticut since 1981.